Have you replaced our old mattress in Boca Raton? The average person spends a third of their lives sleeping. That is 25 years sleeping for every 75 years of living. Twenty-five years! If you are spending a third of your life sleeping, you better spend it on a mattress that is serving you and your body well. The general consensus is that one should replace their mattress every seven to ten years; or at when there are signs of damage. Sleeping on an old or damages mattress can affect your health and wellness. A mattress that does not give you the support and comfort you need can cause you to wake with stiffness, numbness, aches and pains. As we age, getting enough quality sleep is vital to maintaining health and happiness. Finding your new perfect mattress in Boca Raton that will give you the peaceful nights sleep you deserve. Finding that perfect mattress does not have to break the bank or stress you senseless. To determine if it is time for you to toss out your old mattress and begin the search for that ideal sleep start by assessing your current mattress and the quality of sleep you are getting each night. Do you sleep throughout the night? Do you toss and turn, never to find that sweet spot? Do you wake up stiff? Numb? With a aches and pains? Do you wake up tired? Do you sleep better in places other than your bed? Are there obvious signs of overuse? Sags? Bags? Tearing? Ripping? Holes? Lumps,bumps, ditches? If so, it is definitely time for you to find your new mattress in Boca Raton. Some of the reasons to replace your mattress are a lot less obvious, they are hidden or microscopic. The human body produces oils through the skin, this oil mixed with sweat, dirt, and skin cells begin to absorb into the mattress and over time collect, leaving you vulnerable to breaking out and/or your mattress may begin to smell. Many use a mattress cover and fitted sheets to protect both them and their mattress, but still time still has it’s effects. The other culprit adding to the demise of your older mattress are the dust mites, mold and allergens that build over time in your mattress, leaving you vulnerable to an allergic reaction, rash, asthma attacks, or other health issues. You can find affordable high quality mattresses in Boca Raton. Once you determine whether or not it is time for you to start your search for your half priced mattress in Boca Raton, visit 561beds.com. There you will find high quality brands such as; Simmons, Sealy, Serta, Sterns & Foster all for a discounted price! Up to 75% off over retail stores. 561Beds is a factory outlet that orders directly from manufactures in high volume so you can have your best nights sleep, on a brand new mattress in a style that will fit your needs, choosing from, extra firm,firm, plush, pillow top, memory foam, and more. Find your perfect nights sleep by finding your half price mattress in Boca Raton. Are You Searching for an affordable mattress store in Palm Beach? Are you tired of waking up feeling exhausted? Is your mattress just not comfortable anymore? Do you fear that your ancient mattress is disrupting your love life? Time to upgrade. But to what? ½ Price Mattress store in Palm Beach can help you get a better night’s sleep. But you are not doomed to spending thousands of dollars on a mattress just to get a decent night’s sleep! The big three mattress manufacturers—Sealy, Serta, and Simmons—offer good mattresses and box springs for a good price. A box spring is not always necessary, but your new mattress’ warranty might require that it be used with an “appropriate component” (mattress industry speak for “box spring). Even if you get the box spring, you might be able to buy a queen-size mattress and box spring for well under the $5,000 that you could pay if you buy a more expensive mattress. Our mattress store in Palm Beach are stocks high quality and affordable mattresses. Where should you buy your new mattress? At 1/2 Price Mattress, located in Palm Beach, of course! This is your one-stop shop for discount mattresses. ½ Price Mattress specializes in volume purchasing direct from the manufacturer and unparalleled customer service. You might feel weird about lying down for a nap in the middle of a mattress store, but it is very important to test a mattress before you commit to it. People spend an average of a third of their lives asleep. Make sure that sleep is restful and comfortable. One thing you should know about yourself as a sleeper is how, exactly, you sleep. Yes, you probably sleep with your eyes closed—but are you on your side, your back, your stomach? Do you share your bed with someone, and how does that person sleep? Knowing this information will help you make the right choice when you visit the mattress store. Understanding your sleeping style will help you select a mattress. There are so many types of mattresses to choose from, including various types of fiber, foam, and coil combinations. Just because it’s a “discount mattress” does not mean it is poorly made! At ½ Price Mattress Store in Palm Beach, there are three good, inexpensive mattresses that you might find to be both comfortable and in your price range. The Serta Perfect Sleeper series. These mattresses are firm yet comfortable, and covered under warranty for up to 10 years. The design was even developed in partnership with the National Sleep Foundation. The Simmons Beautyrest series has a range of firmness levels, and is a good option for people who share a bed. These mattresses come with a 10-year warranty. They are composed of an incredible 800 pocketed coil springs, intended to isolate a sleeper’s movement—this will help keep partners from waking each other up in the middle of the night. The Sealy Posturepedic series, designed to support the back and relieve pressure on the shoulders and hips, is another great option, especially if you find that you have pain in these regions. The Sealy brand rated highest in a survey of customer satisfaction, and the company offers a 10-year warranty. Are you ready for a great night’s sleep on a mattress that won’t bust your budget? Visit 1/2 Price Mattress store in Palm Beach, and pick out your new bed today. How do you invest in your productivity? Most of us believe we have to pound ourselves into the ground with completed tasks. We work long hours to finish as much work as possible and it doesn’t stop at the office! We come home and there is even more to do from feeding ourselves to keeping things clean, etc. Whatever your philosophy happens to be on work ethic, there’s likely a significant component, an honest-to-goodness secret weapon you are overlooking when it comes to being productive. The absolute best way to increase your productivity? Invest in Rest. How does a discount mattress improve your work productivity? According to Forbes, a lack of sleep might actually be a major obstacle in your professional progression in life. That might sound counter-intuitive – after all, if you’re sleeping, you’re not working! Thing is, a study conducted by Harvard on the effects of sleep deprivation on work productivity has motivated several major corporations and businesses to invest more in their staff’s sleep health. The study concluded insomnia robs the average worker of 11.3 days of work which, in monetary terms, comes out to about $2.2K. Multiply that figure by however many workers support any given business and you’re looking at major losses in productivity. When we have adequate rest, we are less prone to distraction. We make fewer mistakes with this optimal level of focus. Our ability to discern the next move on a project is sharpened for having replenished ourselves. We’re less like to completely burn out on a job or task if we pace ourselves. We’ve actually known this for longer than you might think – it all goes back to the Neolithic period where keen awareness was critical to man’s survival. Even primitive man realized rest correlated with his ability to survive. During the Neolithic period, people started building beds which were lifted off the ground to protect against agitators of sleep. Namely, by laying down leaves, grass, or straw in an organized pile and resting an animal skin over it, one was spared from lying in dirt, being as easily accessible to pests, or catching a draft. The next advancement in bedding dates back to 3600 BCE in Persia. People would fill goatskins with water as a mattress on which to sleep perhaps to simulate the cushioning, weightless feeling of floating on water. Egyptians would heap together piles of palm boughs to avoid sleeping directly on the ground. By 200 BCE, the Romans started making what we might recognize as a more classic “mattress” by stuffing cloth sacks with hay or wool. Feathers were harder to come by and used only for the wealthiest of Romans. By the Renaissance, people started to consider better materials for a comfortable night’s sleep. People have used numerous cushioning substances from pea shucks to cotton, coconut fibers to horsehair! It wasn’t until the 1800’s that the first spring coils were designed for a chair seat. By 1865, the coil was further refined to include in bedding. This led to Heinriech Westphal invention of the first innerspring mattress in 1871. We’ve come a long way from hay and cast iron and advanced to cushioning foam, ThermaGel, and even copper-infused materials to ease symptoms of inflammatory illnesses like arthritis. There are so many options now – which might be part of why it feels like such a hassle to invest in a new mattress. This guide will help streamline your selection process so you can buy with ease and get the rest you need to get back to work! Let’s make investing in your sleep a little easier for you. In this guide, we’ve broken the process down into three steps. Each step includes the information you need to step out to the bargain mattress outlet and find the best bang for your buck! We’ll guide you through understanding how you sleep, which mattresses accommodate your sleep priorities, and what to do to test for the perfect discount mattress at the store. Following these three steps will help you select a great mattress. It’s a large investment and hesitation due to constant comparisons and analysis just steers you further and further away from the rest you need to be your productive, best self. We’re going to make this simpler for you! Do you tend to sleep on your back? If you tend to sleep on your back, you might have the most wiggle room for selecting a mattress. Back sleepers can rest comfortably on medium to firm mattresses to ensure support on the lifted lumbar area of your body. Do you wake up to find you’ve been sleeping on your side? If you’re a side sleeper, you tend to place extra weight on your hips and shoulders. You’re going to want to find a mattress which offers contour support and distributes weight in such a way your body rests in proper alignment. If you’re crunched up or sinking down too far, the stress on your spine will disrupt your sleep. If there’s anyway you can adjust your position, stomach sleeping is really tough on your neck and back. If your stomach sinks into the middle of the bed, you’re adding even more pressure on your joints. If you can’t avoid sleeping on your stomach, your goal is to find a comfortably firm mattress to avoid crunching your spine. Are you lighter in weight? If you are particularly lightweight, you want to avoid mattresses which are too firm to accommodate for the contours of your body. Without the weight to press into a bed, you will want a softer mattress which will provide the proper cushioning to your sleep position. Would you consider yourself a heavy sleeper? Smart manufacturers will include the weight limit on their mattresses to help you eliminate inappropriate options. The size of the mattress and heat transfer will be significant to consider for your personal comfort. After you establish how you sleep, it will be easier to determine what sort of discount mattress will provide you with quality rest. If you’re a side sleeper, you may want to focus your search on softer mattresses to accommodate for proper spine alignment. Back sleepers do well with memory foam to provide lumbar support while stomach sleepers should opt for a firmer mattress such as hybrids with heavy-duty coils and performance foam. Side sleepers may want the softer variety of mattresses in memory foam variations to accommodate the curves of the side body. 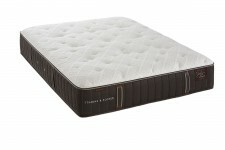 If you’re heavier, a quality foam or innerspring/memory foam hybrid will assist with cooling and comfort. You’ll want to consider your sleep situation – how does a single mattress, for example, accommodate two different types of sleepers? Heat transfer and cooling ability of a discount mattress could be a major player in restful sleep. Not all materials for bedding are created equal in this regard. Some mattresses come with a ThermaGel to help distribute heat, but, there are some mattresses which trap the heat and have you kicking off the covers in the middle of the night. If you already run warm while sleeping, you may want to consider innerspring coil beds to distribute heat. Motion transfer also matters in a quality mattress. If you share a bed with another person, does he or she toss and turn all night long? Or, if you have different schedules, sleep might be disrupted when one of you rises earlier in the morning. You will want to avoid coil beds made with one continuous coil and opt for mattresses with foam, pockets coils, and/or pillow top covers. Assess the durability of a bargain mattress in West Palm Beach:Looks at how the mattress is advertised. How much emphasis is there on versatile design? What can the salespeople and reviews tell you about the mattress’ ability to withstand a normal amount of wear & tear? Always review the warranty on a discount mattress in West Palm Beach:If the manufacturers are willing to stand behind their product, you will find warranties reflecting a relatively long lifespan. Return policies should be clear and the company’s willingness to replace a mattress under warranty is a sign of confidence in the quality of the mattress. Consider your local West Palm Beach community reviews of a discount mattress:Not every online review has quality information to offer; however, if you see consistency in reviews, this might be an indicator for valuable information. Looking at what your local community has to say about your selection may offer unique insight as they are sleeping in the same environmental atmosphere as you. Once you’ve checked off these qualities, make sure you actually lie down on the mattress and let your body be the judge. If you take someone with you, you can determine motion transfer by having the person get on and off the mattress a few times. You will know which mattresses are not for you right away if you lie down and feel like you just can’t get comfortable. Check the edge support of the mattress by sitting on the edge. You might not know what you’re feeling for the first few times you try this, but, as you assess more mattresses, it will become obvious which ones offer you better edge support. The staff at 1/2 Price Mattress is knowledgeable about the best bargain mattresses to accommodate your particular needs. When you visit one of our convenient locations, you avoid all the hassle of negotiating and haggling with salespeople looking to make a commission. We’re more interested in you getting your best sleep and finding a mattress that suits your ultimate comfort. While there is no such thing as a perfect mattress as there are pros and cons to every material, type, and support structure, our goal is to get as close as possible to improve your rest and the sleep cycle of your entire family with affordable, top quality mattresses. Visit us in West Palm Beach to browse our Mattress Firm Clearance and make an investment in your health that won’t break the bank. Most Palm Beach mattress outlets are not designed for support and speed; the idea of replacing an old mattress conjures scenarios of aggravating conversations with salespeople working on commission to pitch retail priced mattress. 561beds was designed to help people get a better night’s rest without a lengthy sales speech, unreasonable payment plans, or a complete lack of knowledge regarding what kind of mattress will best support an individual’s sleep needs. 561beds is not only a Palm Beach mattress store where you can get a new mattress with no credit – the five star reviewed staff will work with you to find a good deal with same-day delivery. Customers at 561beds skip the ordeal of feeling overwhelmed by stock and high dollar price tags while in need of the high quality products from trusted brands like Sealy Posturepedic or the luxurious and brilliantly engineered Stearns & Foster mattresses.When the real need for a mattress arises, it’s rarely at a time when it is at all convenient to spend hours “negotiating” with a pushy salesperson. 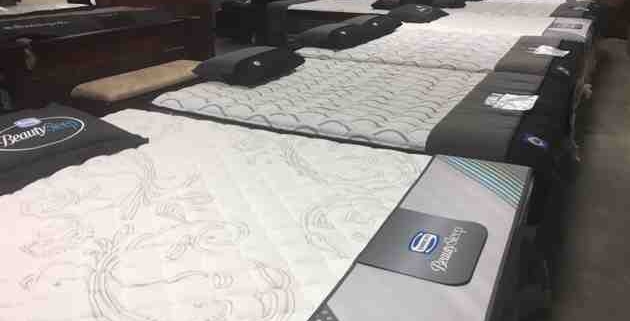 The 561beds.com discount mattress store in Palm Beach has partnered with Acima Financing to make it even easier to have quality products with five star service. Since the employees at 561beds are not reliant on commission, they are trained to know the brands and benefits of each product to best accommodate an individual’s sleeping needs. In order to also do their utmost to help remove any obstacles in supporting better sleep health, 561beds teamed with Acima Financing in order to provide easier payment plans. Acima Financing offers 12 month payment plans without assessing credit scores to grant approval for financing. Approval is instantaneous and incentives are offered for early pay-down progress.The application process can be completed online, on a smart phone, or inside the store. Acima will simply ask 4 questions to assess eligibility to confirm your employment (multiple streams of income still apply), your monthly checking account deposits, whether or not your checking account has been active for at least 90 days, and your NSFs and overdraft history. Visit 561beds.com to find a quality discount mattress in West Palm Beach and take it home with no credit check financing via Acima Financing. Visit the Palm Beach showroom at 4869-1 Okeechobee Blvd or call 561.478.5354 to see for yourself the quality service and wide selection of mattresses at the 561beds.com discount mattress store. To learn more about the 561beds family and the customers enjoying a better night’s sleep for less hassle and money, visit the store online at 561beds.com. The word “posture” probably comes to mind more frequently with memories from high school debate class, business meetings, or all things upright and awake. Rather than thinking of posture as something to demonstrate dignity and style, posture should be considered whenever a person plans to maintain the same position for prolonged periods of time. With the many distractions of a modern life, it’s easy to disregard how the body feels while working at a desk or watching a movie. It’s even easier not to consider the role posture plays when it comes to quality of sleep and body pains. If you experience chronic pain in one form or another, you may have tried numerous treatments to feel better. From pain pills to physical therapy, not everyone counts the restorative, healing power of restful sleep as a treatment for pain. The startling side effects of poor sleep seem to overpower awareness around the benefits of restful sleep to include pain relief. Poor sleep actually turns up the volume on pain sensitivity whereas as getting better rest has the opposite effect. Among the various contributors to poor sleep including diet, activity level, etc., it is worth exploring if the mattress on which a person sleeps is in fact a heavy-handed contributor tothe disruption of sleep. Two particular physical symptoms may indicate it’s high time to find a better mattress in Palm Beach. Since there are a number of contributing factors to sleep disruption, a few hints will point the finger of blame at the mattress. Firstly, one should consider how much tossing and turning one does at night in an effort to feel comfortable enough to fall asleep. If a sleeper wakes up more than once during the night to relieve an uncomfortable position, this may mean the mattress is not ideal for the individual sleeper. Secondly, what time of day is the pain most noticeable? When you wake up, do you immediately feel pain in your body somewhere? If morning discomfort is somewhat regular, when does it dissipate? If you tend to feel better after stretching for 10 – 15 minutes, the most likely culprit running off with your chance at quality sleep is the mattress. There is limited research on what types of mattress are directly linked to relieving pain or exacerbating pain; however, a few studies indicate there are certain elements of mattresses which appear connected to a better night’s rest. It is important to pick a mattress which feels most comfortable for your particular body, placing you in proper alignment. As an example, narrower hips may feel rested and supported on a firmer surface than wider hips. What is the best kind of Stearns & Foster mattress in Palm Beach for back pain? The rule of thumb for back pain used to insinuate a firm mattress was the optimum choice, but, this is not actually the case. A too-firm mattress for your body type may apply more pressure to your pain points whereas a too-soft mattress will allow the body to sink into an awkward position and throw the spine out of alignment. When picking a better mattress for back pain, check for hybrids which offer the firmness of a well-engineered innerspring mattress along with the comfort of a pillow top over the coils. If your weight is on the heavier end of the spectrum, a firmer mattress may be necessary to offer the proper support for the spine. A medium-firm mattress from Stearns & Foster might be just the right balance to keep your spine in alignment if you struggle with back pain. What is the best kind of Sealy Posturepedic mattress for hip and shoulder pain? Unlike those who experience mostly back pain, traditional innerspring mattresses are not considered the best mattresses for hip pain. One of the more common sleep positions for those with hip pain related to sleep is on the side. For this reason, a too firm mattress does not allow for the contours of the body to rest in proper alignment, placing the hips too high and allowing the waist to droop. Most of the weight of the body presses down right on the hips (which can contribute to pinpointed lower back pain as well). Innersprings do not offer much in the way of waist support which may result in a contorted spine. A memory foam mattress will allow the places with the most weight to release deeper into the mattress while lighter areas remain in proper spinal alignment. The same concept applies when looking for shoulder and neck relief – the mattress should allow for flexibility of movement where the most pressure is applied to the body while the lighter areas have support to rest in place with the spine. Stearns & Foster or Sealy Posturepedic mattresses in Palm Beach may help reduce muscle and joint pain. There is no one perfect mattress to act as a panacea for pain; however, if your mattress is over 8 years old, there’s a good chance buying any new mattress will help you achieve quality sleep. A small study at Oklahoma State University randomly chose 62 people to sleep on brand new beds for about a month. Virtually every participant reported better sleep during the study period regardless of the type of mattress. The same study demonstrated, however, those who slept on the cheapest quality mattresses experienced more pain and lest restful sleep than those on higher-priced mattresses. ½ Price Mattresses helps make the investment easier on the wallet without sacrificing quality. Visit ½ Price Mattresses in Palm Beach for help finding a quality, discount mattress to offer your best night’s rest for pain relief. Top quality brands of mattresses, like Stearns & Foster or Sealy Posturepedic, will help accommodate every kind of sleeper. At ½ Price Mattresses, the best brands to address pain points are always in stock. Innerspring, memory foam, and hybrid mattresses are all available to help clients in Palm Beach achieve quality sleep and start reducing pain symptoms without breaking the bank. Visit the mattress showroom at 4869 Okeechobee Boulevard, West Palm Beach, Florida between 9AM and 9PM Monday through Saturday (11AM – 7PM on Sunday) to inspect the best mattresses for less money for yourself or call 561.478.5334 for more information about how you can get a better night’s sleep on a new mattress.